for $2,975,000 with 3 bedrooms and 4 full baths. 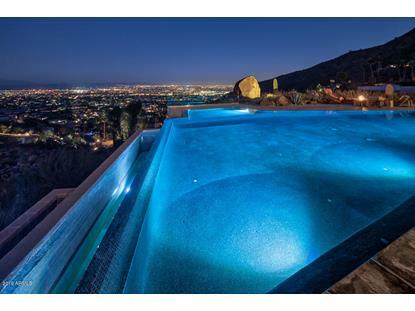 This 5,054 square foot home was built in 1970 on a lot size of 82884.00 Sqft. 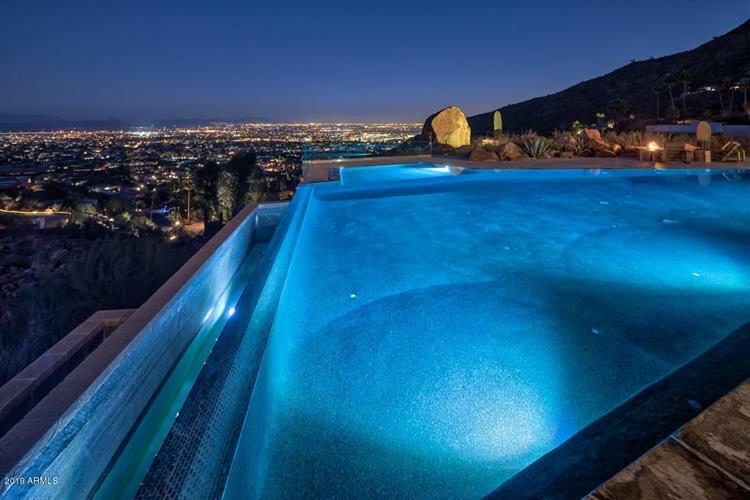 Sitting on a HUGE FLAT LOT on the TOP OF CAMELBACK MOUNTAIN, with spectacular city light + McDowell Mtn views + beautiful rock outcropping, this Paul Christian Yeager Mid-Century Modern was remodeled in 2 . Large flat grass lawns, 6000 sq ft limestone decking, 45 ' zero clearance pool heated by both gas and electric, spa seating 12, 25' BBQ area + triangular firepit matching the architecture of the home are set amid natural boulders . Strong Frank Lloyd Wright influence with open floor plan, vaulted ceiling, natural quarried stone walls and large cantilevered horizontal roof planes. New chef's kitchen with quartz counters + polished epoxy concrete flooring retains a classic modern feel. Generous master suite with large sitting rm.Guest house has livingrm +loft+ full bedrm+bath.